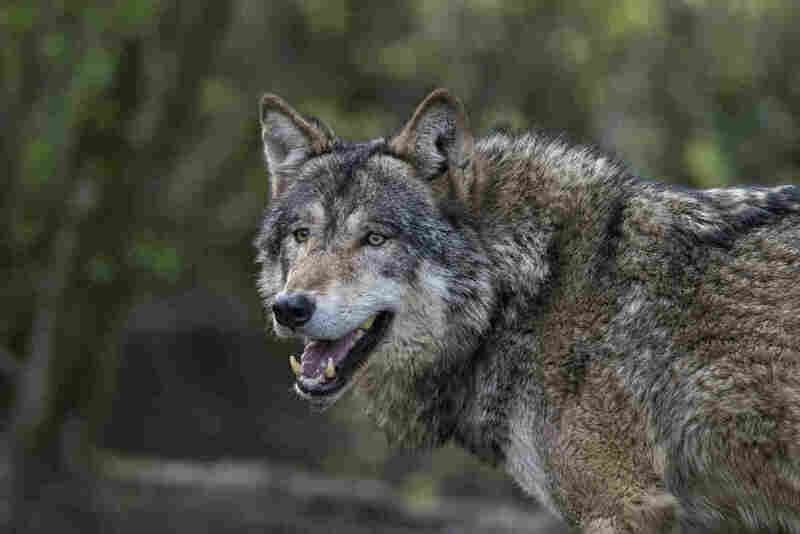 Landowner Aims To Bring Wolves Back To Scotland, Centuries After They Were Wiped Out : Parallels The proposal to reintroduce wolves to the Scottish Highlands is controversial, just like the Yellowstone project it's modeled after. A gray wolf in Jamtland County, Sweden. A wealthy landowner in Scotland is hoping to bring wolves from Sweden to the Scottish Highlands to thin the herd of red deer. 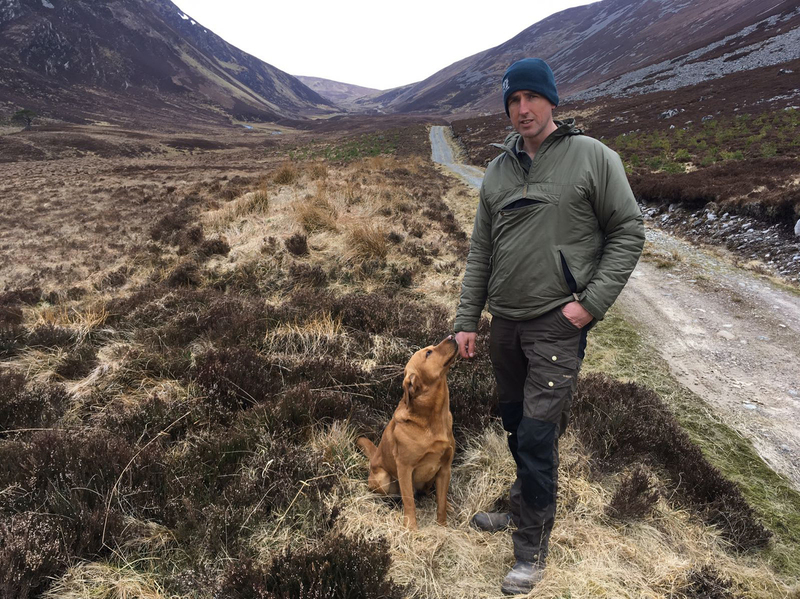 Englishman Paul Lister is hoping to see the ancient Caledonian Forest of Scotch pine, alder and mountain ash regenerated, and wildlife long absent from the Highlands return. But as happened with the Yellowstone project, he's running into strong opposition. The Highlands' rocky hills and windswept valleys, known to the Scottish as glens, are an austere, beautiful landscape. But some visitors are surprised to learn they were once heavily forested — before humans wiped out the trees to feed a voracious appetite for timber. 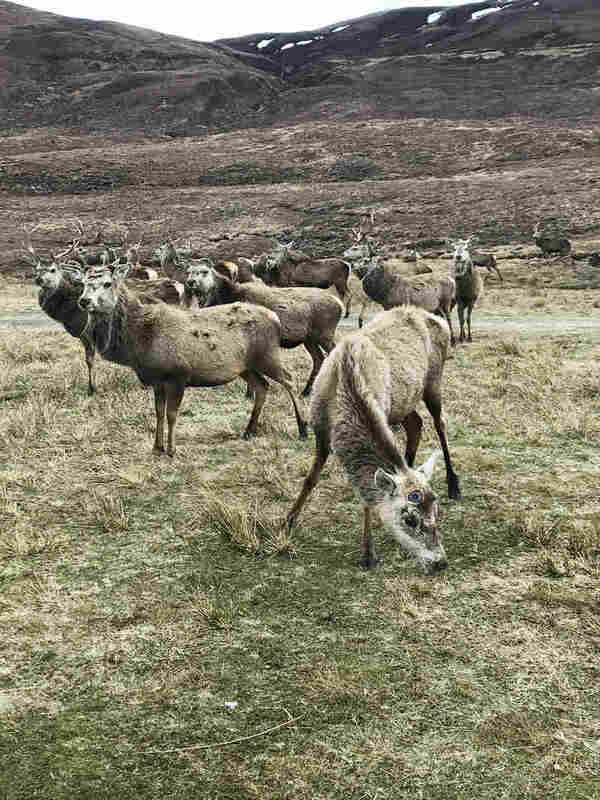 The red deer population is booming in the Scottish Highlands, which makes it hard for the forest to grow. When Lister bought a 23,000-acre estate northwest of the Scottish city of Inverness 15 years ago, he named it the Alladale Wilderness Reserve and began reviving the environment, replanting hundreds of thousands of trees in some areas and restoring dried out peat bogs in others. But he faced a problem: a booming red deer population, with virtually no predator to control its numbers, was effectively grazing the replanting effort to death — eating the young tree shoots before they could reach maturity. Besides an estimated 750 deer, Alladale supports a small herd of shaggy, long-horned Highland cattle, and golden eagles and foxes have been spotted. But reserve manager Innes MacNeill says at the moment, the ecosystem is out of balance, with too many deer damaging the forest's ability to regenerate. If that sounds like he's casting the deer as the villains here, he's not. "It's man that did the damage here," he says. "Deer are the success story, because they're a forest animal, and you'll see as we go out [to] the glens, the forest is gone. And they've adapted." Adapted too well, perhaps. Lister would like to see the deer population reduced by a little more than half, closer to 300 animals. That's where the wolves would come in — if Lister gets permission to bring them over from Sweden. MacNeill says the wolves wouldn't wipe out the deer — they might take a few dozen each year. But crucially for the environment, he says, they would keep the deer moving, and that would give young tree shoots a chance to survive, mature and start casting their seeds, in a process of natural regeneration. Reserve manager Innes MacNeill and his dog in the Alladale Wilderness Reserve. "With the wolves, the deer would be more mobile, so they wouldn't be concentrating on one area for, you know, five or six hours, just grazing it bare," he says. "And then you might see willow or an alder shoot starting to come through, and it'd get a chance to get established, you know?" 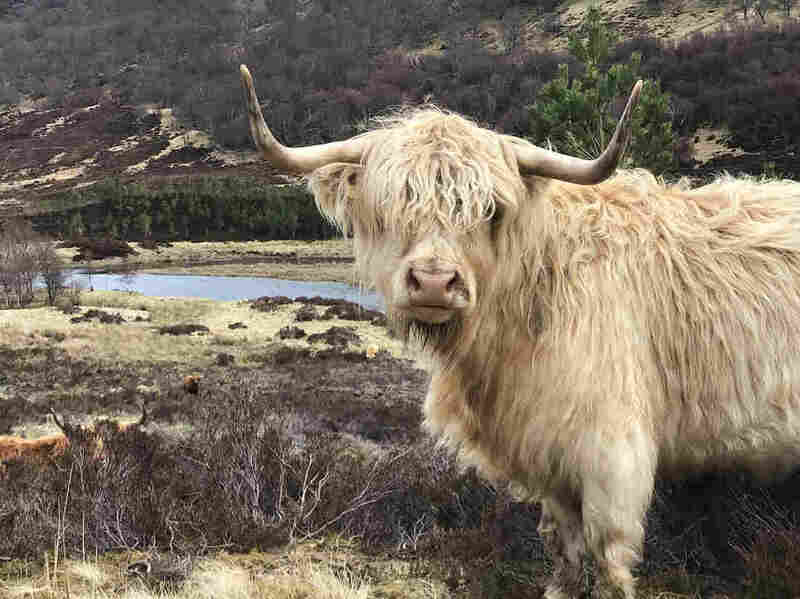 This project has been talked about for years, and one reason it hasn't gone ahead is fierce opposition from Scottish farmers and hikers. One group is the charity Ramblers Scotland, a strong defender of the "right to roam" — free access for hikers that, with some exceptions, is guaranteed by law. Ramblers Scotland member Danny Carden says the ramblers support Lister's replanting efforts, but not the return of wolves, especially in a closed-off area that people would have to pay to visit. "But [with] these particular plans, he's essentially trying to create a large, extremely expensive zoo for rich customers to pay him to visit," he says. "More importantly, it would seriously undermine our world-class public access rights." Livestock farmers have their own objections. Scottish lawmaker Fergus Ewing, who represents farming interests, has said wolves will come back to the Highlands "over my dead body." "The last thing that farmers need, with all the problems they've had at the moment, is escaped wolves attacking and killing their lambs and sheep," he says. In response to his critics, Lister says yes, he does intend to charge visitors to see the wolf-populated wilderness reserve, and the increased visitor traffic would provide a strong boost to local village economies. As for the farmers, Lister says all the wolves would be tagged and satellite tracked, so if one escaped it would quickly be captured and returned to the reserve. He says people have to realize this is not the reintroduction of wolves to the wild — it would be a limited experiment in "rewilding" one 50,000-acre chunk of the Highlands, surrounded by an electric fence. Lister recognizes that in 21st century Scotland, reintroducing wolves on a broad scale would not be feasible. "It's a total dream and it will not happen for the foreseeable future," he says. "You've got 65 million people living on this island, you've got hundreds of thousands of sheep, and just to release a pack of wolves into Scotland and think they're just going to get along fine and dandy, it's not going to happen." But he quickly adds, "So let's do something that can happen, and let's all compromise to see something — a new vision, a new economy." Hunting is also a common way to control deer populations, and the Highlands has its share of hunters. But MacNeill says not nearly enough animals are killed each year to keep the population down. Lister recently ended deer hunting — known locally as sport stalking — in the reserve, wanting to focus on his bid to bring wolves to the area. The plan offers an additional aspect: expanding the habitat of a species that much of Europe had wiped out. The Scottish Highlands' last wolf may have been hunted as far back as the early 1700s or earlier. While the species is not endangered on a global scale, the wolf remains regionally extinct in the United Kingdom and other countries where it once roamed. In Sweden, the wolf was considered eradicated until several were spotted in the 1970s and their numbers began to grow. In 2015, Sweden's Environmental Protection Agency counted as many as 300 wolves and said the species was "maintaining itself on a long-term basis." Yet they are still listed as vulnerable on the Swedish threatened species index. Lister's aspirational wolf patch would be a tiny fraction of the sprawling Yellowstone — whose own wolf project is admired worldwide but also continues to rile nearby communities. Over 20 years after the U.S. project began, Wyoming recently reported an uptick of livestock killed by wolves. And some scientists have debated how successful the Yellowstone project has been at regenerating plants. Lister's idea for a limited, controlled release in a closed area is stirring plenty of opposition. He says this is the year to press the authorities for permission to proceed. But there's no guarantee they'll say yes. NPR producer Samuel Alwyine-Mosely contributed to this story in Scotland. Digital editor Alex Leff contributed reporting in Washington, D.C.